Twice a year I watch hundreds of bloggers take a room in their home and completely transform it from floor to ceiling in 6 weeks. The whole idea of it always intimidated me though. and I never had the courage to jump in…until now. With our new found style direction I just KNEW we had to participate this season. If you haven’t heard of the One Room Challenge, I’ll give you a few details. 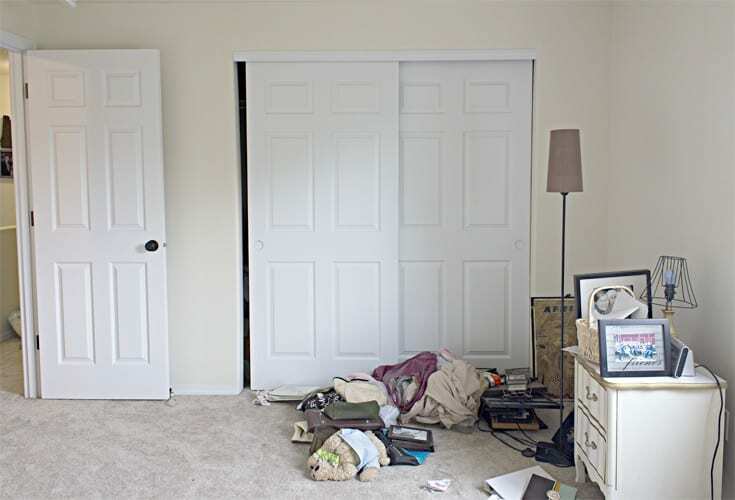 Bloggers from all over the interwebs take 6 weeks to transform a room in their home and share progress posts each week. There are 20 featured designers selected by Calling It Home, the host and genius behind the One Room Challenge. Those 20 bloggers link up their progress posts on Wednesday and everyone else links up on Thursday. In the Spring, over 200 bloggers were involved and I loved seeing all the rooms made over. So much talent and so many creative ideas! This, my friends, is our guest room. Well, as you can see it’s not so guest friendly and I guess I should, more appropriately, say it WAS our guest room until I sold our guest bed to a lovely couple that now has an empty nest a few weeks ago. When we bought our 5 bedroom house a year after graduating college and no kids on the horizon people thought we were crazy. But for us it was perfect! I always planned on keeping the room closest to the master bedroom as the nursery and just funneling kiddos into this large bedroom as our family grew. Well, the time has come to start our kid shuffle. 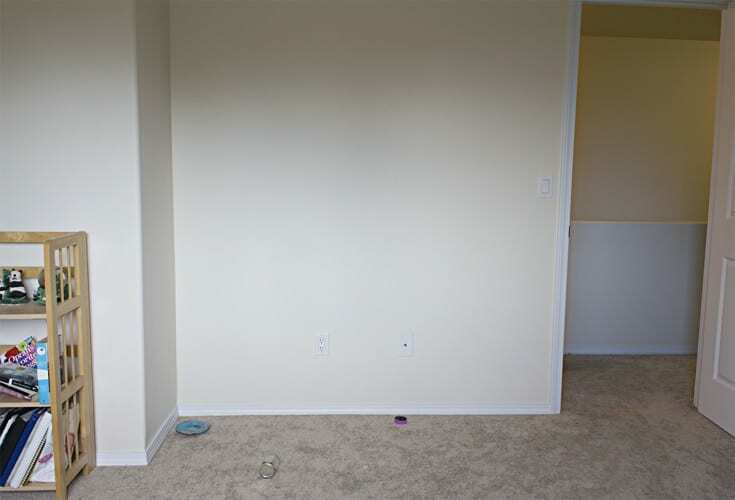 It’s time to say goodbye to our guest room and turn this room into a toddler bedroom. I am so excited to transform this room into a big girl room for Clara that can be a space for just her. Once baby joins the family I’m sure my oldest child will need time to get away by herself. I have so many ideas for this room and am excited to share with you all of the plans over the next few weeks. As you can see, so far we just have a toddler bed frame and other than that we’re starting from scratch. Each week I will share a progress update on how the room is coming along and be sure to follow along on Instagram for all sorts of updates and sneak peeks throughout the next few weeks! Until then, I’ll leave you with this inspiration board I created using Olioboard. It’s my favorite resource when planning out a new room to see all my ideas put together. I love how the inspiration board turned out and can’t wait to turn it into a reality! The plan is to take items we used in Clara’s purple giraffe nursery and class it up into a toddler chic bedroom that encourages play, learning, and independence. But how do we do it in just 6 weeks and being in the third trimester pregnant? Am I crazy?! Probably! With a lot of prayer that baby doesn’t come early and organization I know it’s possible though! Here’s my list so I can start checking things off as they get done. (Side note: this is just my blog to do list. My complete list is actually two pages long. Eek!) So here’s my list — which I’m sure will change throughout the next few weeks — but it will be fun to track progress so you can see where we’re at and where we’re headed. And a shout out to my fabulous sponsors! I am so excited to be partnering with Orchard Supply Hardware and Mpix for this project! You’ll be hearing much more about these sponsors throughout the One Room Challenge, but I want to take a moment today to thank each of them! I am so excited to be working with Orchard Supply for many of the projects throughout the room and this transformation wouldn’t be possible without them! And thanks to Mpix for the providing some gorgeous artwork for her room. I can’t wait to see all the finishing details come together! Be sure to check out all of the other ORC plans! There are so many amazing projects underway and I can’t wait to follow along with all of them! Toddler chic? Pretty sure I would live in this room, too ;) I’d just need a bigger kitchen. Can’t wait to see the progress! Can’t wait to see the finished product! We’ll be needing to tackle a toddler room relatively soon too, so I’ll be getting inspiration from you! It’s going to be adorable! This may be the cutest-ever toddler room! I can’t wait to see how it turns out!! OH wow! 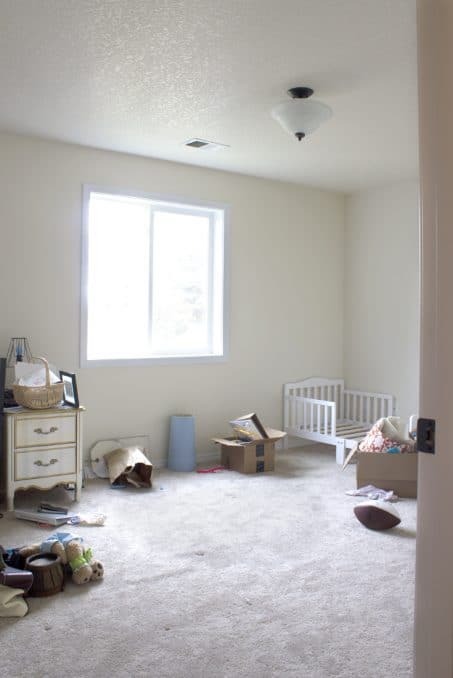 I love all the adorable/chic choices for the toddler bedroom. 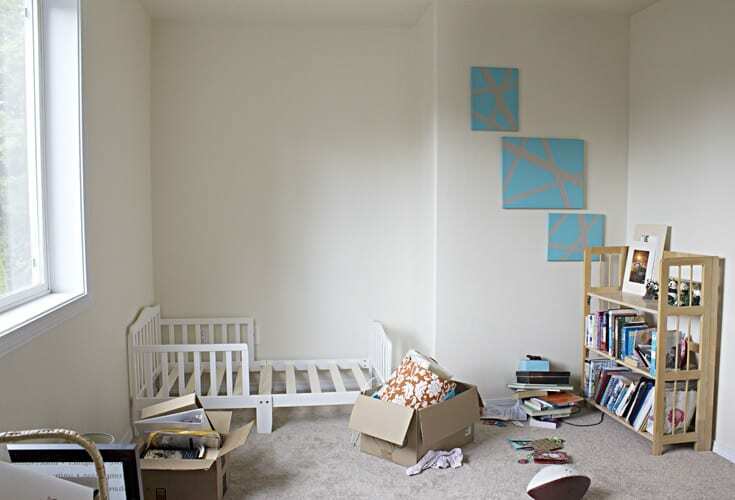 Great ideas to create a montessori style bedroom. very creative. Your to-do list will sure keep you busy!! Your mood board is fantastic! I can’t wait to see how it all turns out. That kitchen is ADORABLE!!! So fun! The plan is so sweet! Love your ideas. I can’t wait to see how it turns out! 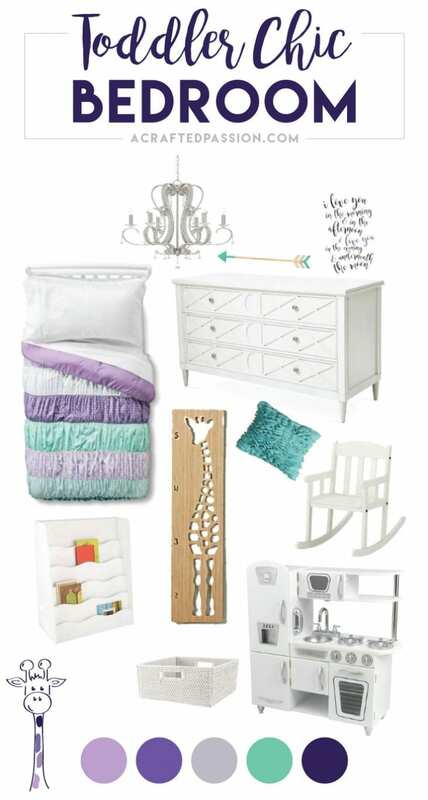 I love your inspiration board for your daughter’s room! I can’t wait to see the final reveal! The colors are so fun! This is going to be great!!! Can’t wait to follow along. Wow, your inspiration board is gorgeous! I can’t wait to follow along! Best of luck on your first ORC! This is going to be great and you daughter will love it! What an adorable inspiration board! Love the color scheme! Sounds, and looks like this is going to a great transformation! Can’t wait to follow along, especially to hear you ideas on the Montessori type choices. I love, love love that bedspread and all the colors you chose. Can’t wait to see it all come together! Love the plans and the phrase Toddler Chic! Toddler Chic never looked so good! We can’t wait to follow along the next five weeks! Wow love all your inspiration! Can’t wait to see the room transformed. This is my first ORC also. There is just something intimidating about 6 weeks! I adore kid rooms! My very first ORC was my older son’s “big boy” room when we were doing the same nursery shuffle. You’re plan looks terrific and I can’t wait to follow along! Hi Amanda. I know that Clara is going to love that room, especially that FANTASTIC kitchen set. Oooh betty! How fun is that? Sounds like you have a good deal planned, but looks like it’ll be a fun project. And I’m looking forward to tagging along. I can’t wait to follow along your progress, Amanda! I love your room board. That chandelier looks so gorgeous! I’m so excited to see the final product! Your mood board looks amazing! A Montessori inspired bedroom!? How cool is that! I love the plans and know that your daughter will love it!